ONE HUNDRED YEARS AGO TODAY (October 28, 1916). 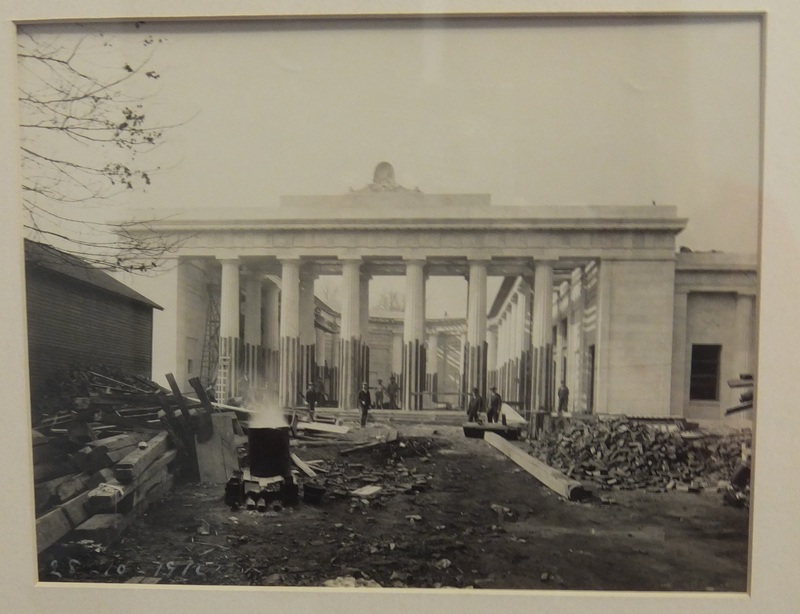 The National McKinley Birthplace Memorial​ is a bit less than a year away from its dedication in these two construction photos. 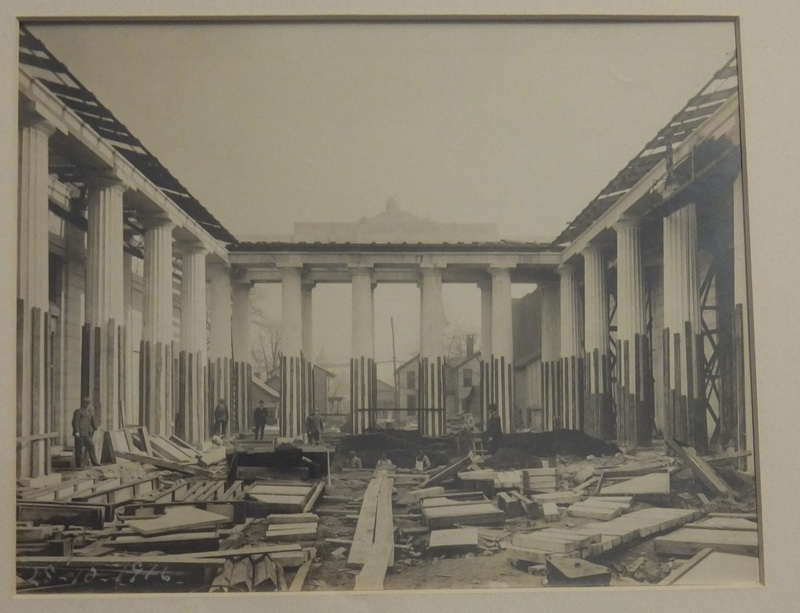 The first photo shows that all of the twenty eight columns are in place. The second photo shows beginning work on the landscaping and more work on the center Court of Honor.